The need for a checking account came in my life. 😆 It’s for a monthly bill that requires “checks”. 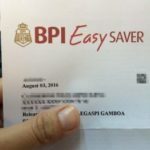 BPI was my first option because I would be able to easily transfer funds online from my savings account into my newly created checking account. I dislike going to banks to fall in line and deposit, so online funds transfer is very convenient to me. Click here to jump to the directions on how to open a checking account at BPI. Both Current [checking] account and Maxi-One checking account come with a checkbook (P175). Can you convert an individual BPI checking account into a joint checking account? I asked the bank staff this question and she said yes. Your co-depositor will be required to visit the same branch where you opened your checking account and present the same requirements, after which he/she will be able to issue checks from your account too. 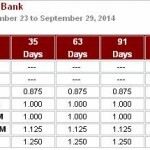 ATM Card with BPI checking account? Whether you get a Current/checking account or a Maxi-One checking account, you may request an ATM card with it. You may request an ATM card upon opening of the account, then you’ll have to wait a few days before visiting the BPI branch again to claim it. Never issue a check with insufficient funds in your account! BPI-to-BPI check encashment is realtime and has no clearing period, which means that once the recipient of your check goes to a BPI branch to encash the check, your checking account must have sufficient amount of money as written in the check. Utility Bill reflecting address: For example, Meralco billing statement. This is to prove that you are providing BPI your correct address. Go to the area for opening new BPI accounts and approach the bank staff. Ask a manong guard where to go for opening accounts, just to be sure. Tell the bank staff you want to open a BPI checking account. Tell him/her whether you’d like a regular current/checking account or the Maxi-One checking account. The staff might ask you the purpose of opening this account. Present the required documents to the bank staff, as listed in my requirements section. Fill up the forms given to you by the bank staff. He/she will tell you which parts of the form should be filled, then will later verify and might ask you to fill up some fields you missed. The bank staff should orient you about using BPI checking accounts… feel free to ask him/her about anything you are unsure of. Hand over your initial deposit + payment for checkbook when the bank staff asks you for it. He/she will deposit it for you and give you a stub/receipt for the deposit. Also, according to the bank staff who assisted me, if you have an existing savings account with BPI, you may request that they just transfer funds from that account into the new checking account that you’re opening. I think that’s more convenient if you want to deposit a large amount of money on your newly created checking account. Wait for the checkbook. You should get it on the same day. I prepared all the requirements as listed above, but I did not have to present a utility bill. Maybe that’s because she has seen that I already have an existing BPI account that reflects the address I provided. The bank staff asked me for 2 valid IDs (I used SSS ID and passport), one recent 1×1 photo, and P10,175 for initial deposit plus the checkbook. How long does it take to open a BPI checking account? if ever po na close account po .pwede po ba ma activate yan ulit ..
Hello, kontakin nyo na lang po directly si BPI para sure 🙂 Call 89-100 for Metro Manila; 1-800-188-89100 for domestic toll-free calls (available to PLDT subscribers); and 63 + 2 + 89-10000 for mobile phone and international access. Pwede bang mag open ng checking account sa bpi kahit walang existing account sa kanila?